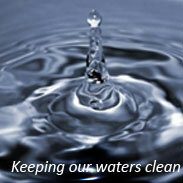 Since its inception, Wastewater Resources has been guided by its founder and president, Randall J. Jones. Since 1988, Randall has been the creative force behind the company's successful lines of advanced water purification plants. Through his vision, the company has captured market share by leading the treatment and automation technology curves. WRI now offers fourteen leading-edge automated water purification plants in the industrial process water, municipal water and wastewater, and marine wastewater markets. Steve DePoli, AScT, serves as Senior Project Engineer at WRI. Drawing upon more than twenty year of engineering experience, Steve brings extensive expertise in the design of marine environmental systems. Steve has worked extensively on the development, design, fabrication, and project management of advanced wastewater purification systems for cruise ships and inter-coastal ferries. In addition, Steve also brings a strong client liaison ability, especially as it relates to problem solving, troubleshooting, and onboard systems refinement.